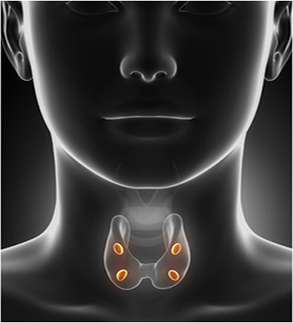 Once the patient is diagnosed with hyperparathyroidism, we start with the most minimally invasive test to identify the location of their abnormal gland or glands. To ensure the minimally invasive parathyroidectomy is a success, we perform an individualized 4 Gland Parathyroid Assessment on every patient we treat. The true advantage of Dr. Larian’s minimally invasive hyperparathyroidism surgery is that each patient receives the care that is appropriate for them. There is no doubt that traveling to have Dr. Larian perform my surgery was the best decision as it proved to be a little trickier than anticipated, but in the skilled hands of Dr. Larian I'm confident that the correct parathyroid gland was removed safely and completely, under local anesthesia and with minimal scarring. I'm home in Hawaii after having minimally-invasive parathyroid surgery with Dr. Babak Larian. What a positive experience. Dr. Larian is a true healer -- an elegant surgeon, warm and caring person, simply the best. After years of vague symptoms and months of severe symptoms, just days after surgery I feel better than I have in such a long time. I have my life back, pain and symptom-free, and am so grateful to have found him. I'm a little more than a year out of parathyroid surgery. BLESS YOU Dr. Larian! Now I have the energy of a 20 something should have to tackle school and my life. You listened to me and gave me a chance. I am still grateful to this day. Please never stop treating patients with the respect you give us. The symptoms are often vague and similar to other conditions. The diagnosis which is made on laboratory testing is not always clear, and can easily be missed by doctors unless they are specifically looking for it, and know what to look for. It presents in many different ways; no 2 patients are alike. The decision as to when to proceed with treatment is not always clear, and even physicians can disagree with each other. The national guidelines for treatment (NIH consensus recommendations) are unfortunately not good predictors if the disease will stay stable or get worse. What type of treatment option to chose: wait & watch vs. surgery vs. medical treatment? If surgery is chosen, what type of surgery and by whom? Add to these complexities the fact that people that have hyperparathyroidism often find themselves feeling that they can’t think as clearly as they did before, and anxious about how to make the correct choice. We understand, and hope that this website, which was developed after years of treating these complex patients, is helpful in guiding you. Hyperparathyroidism is a rare and destructive disease that presents with symptoms that can affect the entire body, some of which are very debilitating. Because hyperparathyroidism is a rare condition, it is often poorly understood, even by physicians who are specialists. The only curative treatment for hyperparathyroidism is surgery, which has a very high success rate when performed with precision and planning by a surgeon with extensive experience not only in parathyroid surgery, but also in surgery of the entire neck. Make sure you are diagnosed correctly. Choose the appropriate course of treatment; observation vs. medical treatment vs. minimally invasive surgery. Choose the appropriate scan to identify the abnormal gland or glands. Decide what is the best surgical option to treat your hyperparathyroidism. You will find lots of information on our website. This information is constantly updated because our understanding of hyperparathyroidism is constantly evolving. The hyperparathyroidism surgery that we offer today is not the same as what it was 5 or even 2 years ago; it is improving as the field of parathyroid disease is becoming more informed and knowledgeable. There is no one formula to treat all patients; every individual suffering from hyperparathyroidism has a different disease presentation and thus needs to be assessed individually and treated with a lot of attention to detail. We are fortunate to be in a position to help a lot of people suffering from this unusual disease and have high cure rates (upwards of 97%). We love helping people navigate through this challenging condition and treatment. If you think we can help you please don’t hesitate to contact us. Recognized for his unparalleled surgical expertise, Dr. Larian has been appointed the prestigious position of Clinical Chief of the Division of Otolaryngology, Head & Neck Surgery at Cedars-Sinai Medical Center in Los Angeles. Dr. Babak Larian, the Director of the CENTER for Advanced Parathyroid Surgery in Los Angeles, is a distinguished and experienced board-certified head and neck surgeon. His proficiency and advancement of minimally invasive head and neck procedures are internationally recognized and celebrated by his peers. He is a fellow of The American College of Surgeons, and The American Head & Neck Society, as well as a member of The American Academy of Clinical Endocrinology. Dr. Larian completed a six-year residency program in Head and Neck Surgery at UCLA, during which he underwent intense training in the treatment of head & neck tumors. This specialized training focused on all aspects of caring for patients with complex tumors and cancers in the neck, including diagnosing and treating these tumors and cancers, managing the complications caused by these tumors, and repairing these complications, when necessary. This unique experience allowed him to have a deep and extensive knowledge of not only the anatomy of the neck, but also consequences of rare and complex disease in this very delicate area of the body. Early in his career he published a scientific article on parathyroid disease which led to him developing a passion for treating parathyroid disorders. He quickly realized there was a lack of focus on this disease, and thus a great majority of patients were not adequately diagnosed and appropriately treated, which left parathyroid patients on a long and uncertain path. Combining his passion for caring for patients with the need for better treatment, Dr. Larian decided to dedicate himself to better understand this disease and in doing so be better able to help cure parathyroid patients. He lectures extensively on this subject nationally and internationally, helping educate internal medicine physicians, endocrinologists and surgeons. “It is rare to find patients that have been diagnosed early on in the course of hyperparathyroidism. Majority will have had symptoms that have gone unnoticed for a long while. 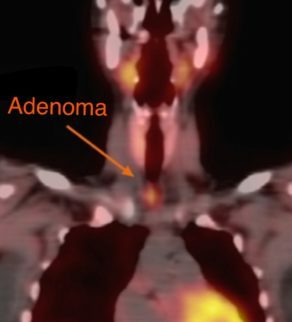 It is our job as physicians to better understand this disease, so that we can diagnose people suffering from hyperparathyroidism sooner, before it leaves a deep impact on the body, and help guide them on the path of choosing the correct imaging studies to find the abnormal gland or glands. Once we have identified the parathyroid abnormality, we have to help our patients understand what is involved in minimally invasive parathyroid surgery, how to assure their particular surgery is a success, minimize the risks of surgery, and maximize their recovery.” Dr. Larian feels every person suffering from hyperparathyroidism requires a lot of attentive care, and needs to understand the disease in order to help their body recover better after surgery.